30 Remarkable Benefits of Drumming! Drumming is an incredible new world of music to explore. There is no other instrument quite like drums! They encompass their own entire category of musical instruments labeled percussion. 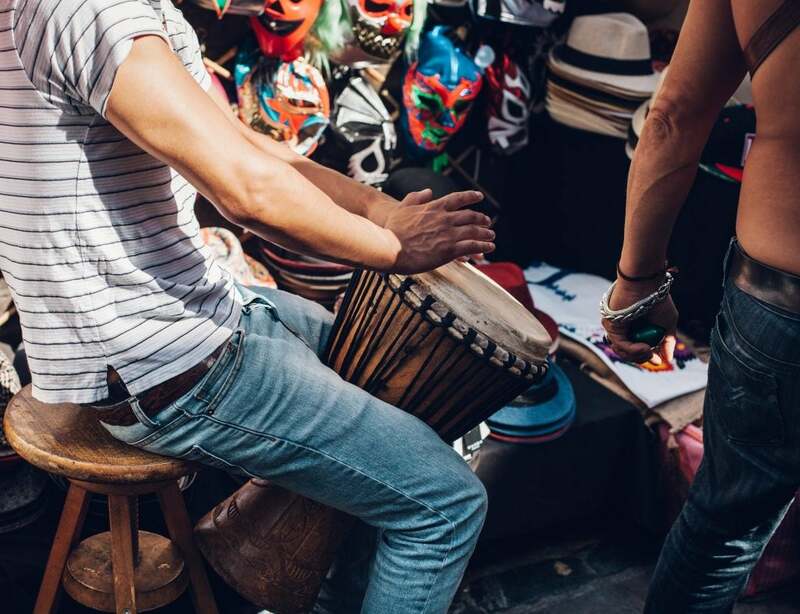 Drums are also the oldest musical instrument in the world; findings from excavations date back to as far as 5500BC from the ‘Neolithic period’, when drum skins were made of alligator hide! 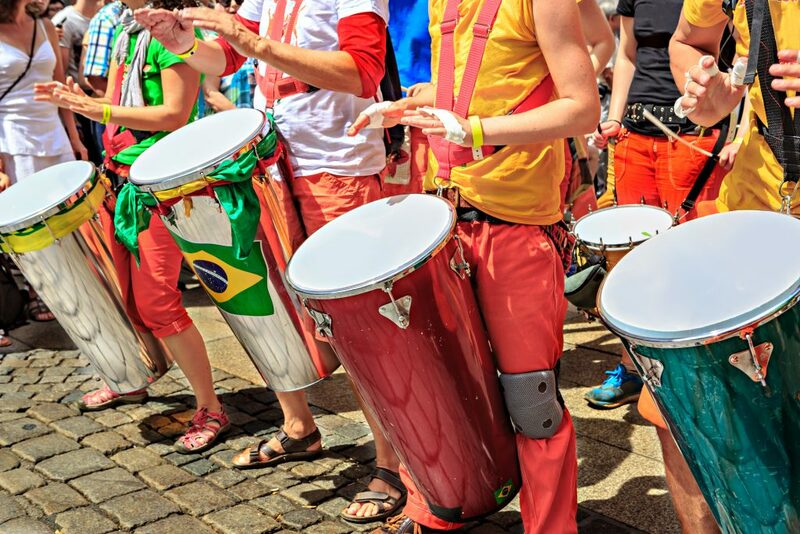 Drums are played in every inhabitable part of the world and they are the heartbeat of every musical style! 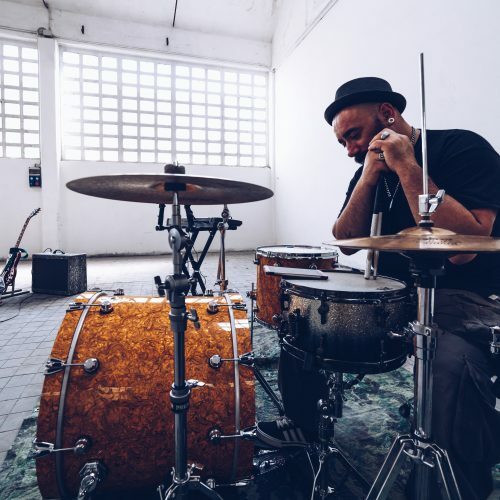 Learning to play the drums is an incredibly rewarding activity, with research showing that playing the drums offers a multitude of both physical and psychological health benefits. Drumming is a fantastic hobby and creative outlet, providing the framework for personal development with practical and fun new skills! I have compiled a list of the benefits of drumming and the scientific evidence supporting them, to show you exactly why drums are the best musical instrument to learn! No other musical instrument requires as much physical energy to play. It’s exhilarating, exciting and just feels great to play! The activity of drumming requires the striking of a drumhead to create tonal resonance through vibrations. It’s an inherently simple activity that has remained unchanged for thousands of years. Being able to experiment with a combination of sounds and rhythms on a drum kit is incredibly enjoyable and brings out a ‘childlike curiosity’ that can be found within all of us. It’s almost impossible not to have fun behind the drum kit! Drumming provides a framework to learn new skills and develop existing skills like timekeeping and rhythm in a fun way. It is a full body activity that engages the mind to coordinate all four limbs. You can rest assured you will not have experienced anything like drumming before sitting behind the kit for the first time! The rhythms of drums are the heartbeat within every style of music. Drums are an incredibly versatile instrument, and the vast sonic palette available means they fulfill a huge variety of musical applications. Learning to play the drums opens up limitless musical avenues for exploration. Whether it’s Samba, Metal, Country, Folk, Pop or Indie. Drums have their place in all styles of music! Rhythm is a universal language. It does not matter what age, nationality, gender or race you are. Everyone has the ability to enjoy the multitude of benefits of drumming provides, and there are no prerequisites to learn! The drums are the oldest instrument found on the planet. They are found in every inhabitable country and culture around the world! The main role of the drummer is to provide the backbone of the music, and is required to play with assertiveness and authority. Within a band or ensemble, other musicians will look to the drummer for guidance and direction throughout a musical performance. Drumming is an amazing creative outlet, and provides the opportunity to forge your own musical identity! No two drummers are the same, and every drummer has a completely different musical voice and unique style of playing behind the drum kit. Musical performance allows an individual to express his thoughts, emotions and feelings in a way that words may not be able to. The number of ways that the drums can be played to different tempos and dynamics makes them a strong tool for non-verbal self-expression. Coordination is a central aspect of playing the drums. Drumming utilizes all four limbs to be played together in synchronization, and this employs both sides of the brain allowing you to play correctly in time. It’s no easy feat! Improving your coordination behind the drum kit will also enhance your motor coordination across all other areas of life; including your ability to multitask and can even improve your sporting performance! Mastering difficult sections whilst learning a song encourages a sense of self-belief. It is normal for developing musicians to attempt and fail a new piece of music multiple times, and it is a fantastic skill to learn to overcome challenges with hard work and a positive attitude. The ability to reflect on achievements over time is important for promoting a positive personal identity. Drumming is a fantastic example of a skill that teaches discipline. It wholly reinforces the truth that the effort put into practice will represent what is obtained as a result. Nobody learning a new skill is perfect to begin with. Improving a new skill requires persistence and hard work, and much with anything in life, drums communicate the valuable lesson that the effort you put in reflects what you get out! 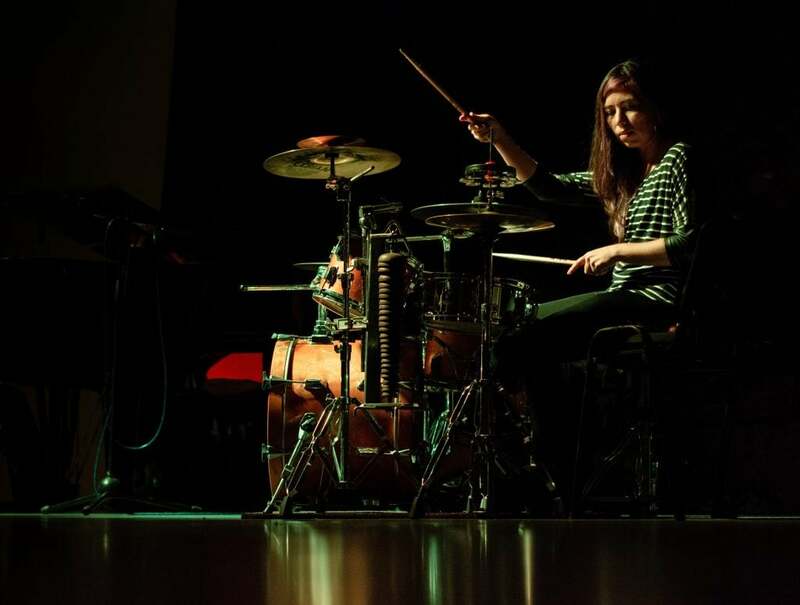 It is not to be underestimated that drumming is largely a mental feat. 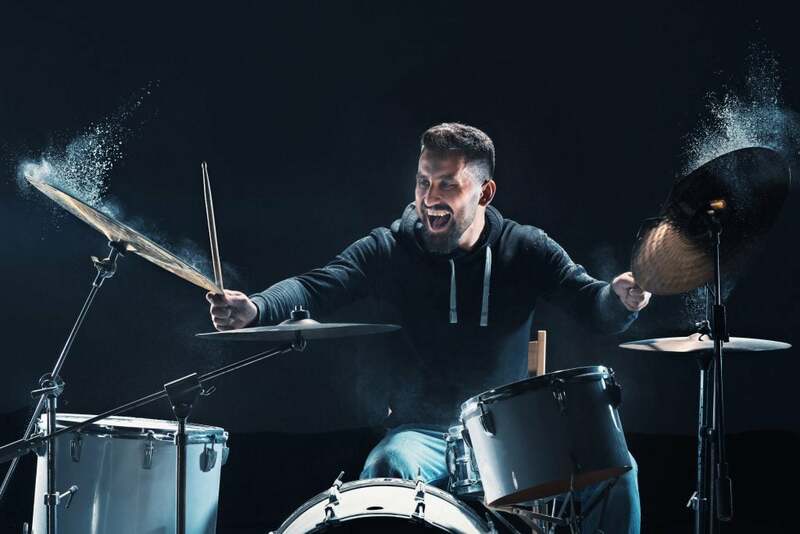 Playing the drums to a consistent rhythmic meter stimulates large areas of the brain and this has been recorded with fRMI imaging in scientific studies. Rhythm provides comforting structure and stability for students, even those with ADHD, allowing them to plan, anticipate and react to the music. Drumming is often used as a tool for music therapy for children with ADHD to regain focus and build new neural pathways in the brain. “Nothing activates the brain so extensively as music,” said the late Oliver Sacks, M.D., neurologist and author of Musicophilia. Science shows that drumming activates the brain and stimulates it in a more complex way than people may realise. With fMRI imaging there is evidence that strong cognitive processes are taking place and auditory information is being translated with motor coordination being planned by the brain to perform consistent metric rhythm. And as summarised in his thesis, Logan Deyo found that multiple areas of the brain integrate to facilitate memory and music perception, control sensorimotor function and subsequently capture accurate timing – all of the elements actively used when drumming! I have heard many stories of Alzheimers patients being brought back to fond and pleasant memories through the power of music. Whether its a popular song from a person’s childhood or the first dance at a wedding, music has the ability to recall wonderful memories. Neuroscientist Adam Gazzaley shares his scientific findings and his confidence in the power of rhythm as a tool for repairing the brains of patients suffering from Alzheimer’s and Parkinson’s disease. He visualizes the brain activity whilst drumming to validate the science behind rhythm as a therapy for Alzheimer’s. 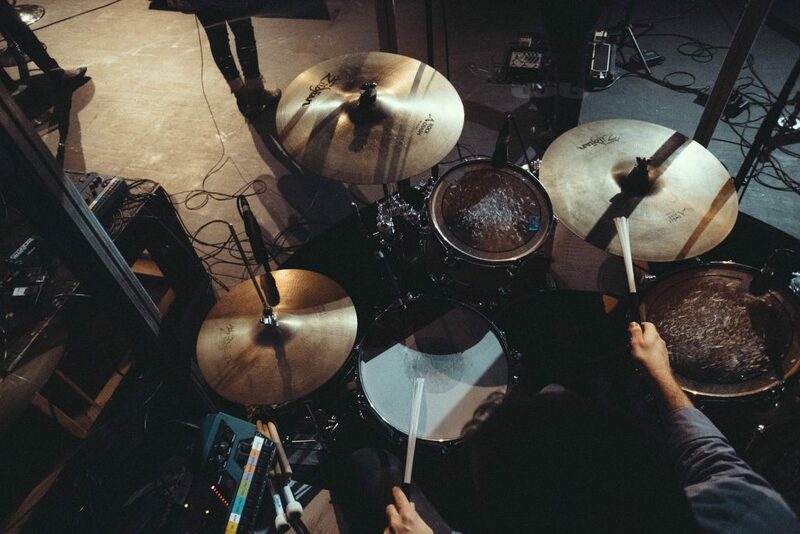 Drumming is proven to demand a huge amount of physical energy during a performance. The whole body is active with repetitive movements of all four limbs whilst the core abdominal muscles are engaged for balance and stability. Data from the CalorieLab suggests that a drummer weighing 180 pounds will burn 252 calories during solo practice. 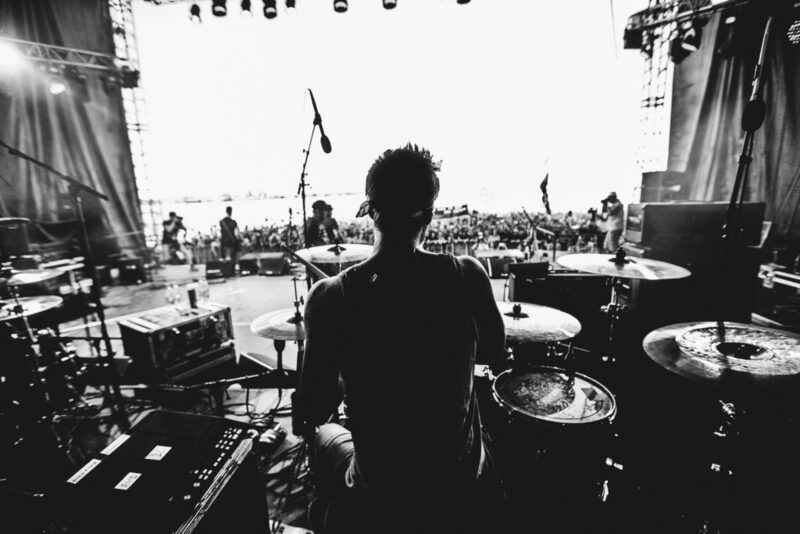 Taking into account individual practice sessions, group rehearsals and playing shows, the time spent exercising whilst playing the drums adds up to be a highly effective weight management system! Drumming is an excellent form of exercise that can be performed from home. The incredible heart rate recorded and calories burned in the study is considerably higher than that of participants in sports including hiking, skiing, swimming and rowing. A study undertaken by Dr Marcus Smith from Chichester University confirms that professional drummers demonstrate “extraordinary stamina”. Smith’s research shows that a rock drummer burns 400-600 calories per concert. With the heart rate of drummers during the study averaging at 140-150 beats per minute, and peaking at 190 beats per minute. This is comparable to those of top-flight athletes! The etymology of the word rhythm originates from the greek word ‘rhuthmós’ which means to flow. The communication between the brain and the body whilst drumming generates an on-going stream of rhythmic consciousness. The mental state achieved through drumming to a consistent tempo and meter can induce a meditative quality of mind, and arouse sensations of lightness and freedom. Whilst drumming remains an intense cardiovascular workout, the repetitive motions involving various muscle groups will strengthen areas like calves, wrists, forearms and biceps. The activity of drumming will also increase muscle endurance over time, enabling you to play faster and with greater control of your hands and feet. Newly published research undertaken at the University of Oxford shows that performing music produces mood-enhancing endorphins, which encourage a positive psychological effect, similar to that of a runner’s high. 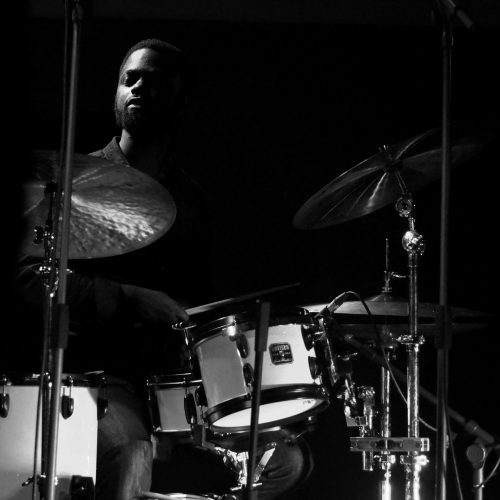 Psychologist Robert Dunbar concludes in the online journal Evolutionary Psychology that it is through the activity of drumming endorphins are released: “The active performance of music generates the endorphin high, not the music itself.” Dunbar conducted four experiments, one of which showed that drummers demonstrated a significantly higher pain threshold after performing when compared to the non-drumming subjects. They also reported higher levels of positive emotions. Dr Bittman, neurologist and President of the Yamaha Music & Wellness Institute discovered that the activity of drumming increases the production of natural T-Cells in the body. These T-Cells are specialized white cells that seek out and fight cancer cells and other virally infected cells. Psychology and science have both identified drumming as a helpful therapy for stress. The therapeutic qualities within drumming focus on the consistency and stability of rhythm, the combination of sonic qualities, and being able to alleviate stress by working the muscles in a safe and controlled way. 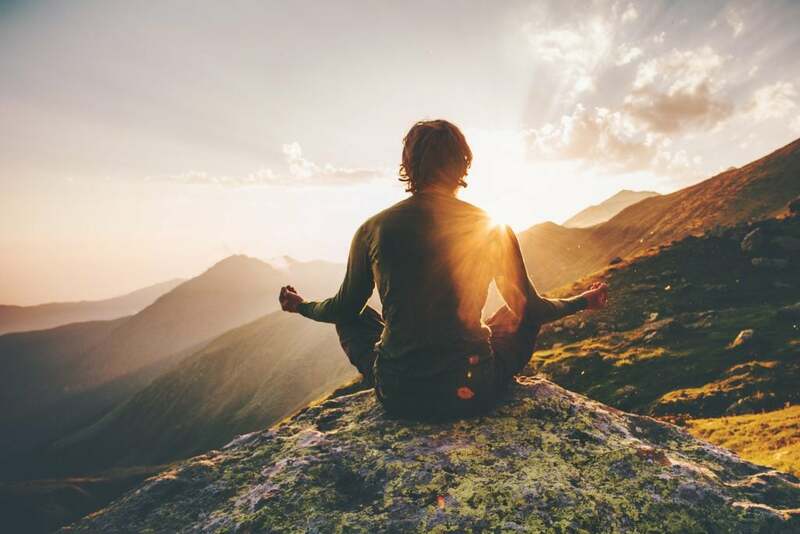 Mindfulness and drumming may not appear to be activities that link into one other, but the truth is that the drum has been used in the East for over 2500 years as one of the most important components for meditative practice. Even today most Buddhist temples and monasteries use drums in daily practice. The drum is an incredible tool of focus for the racing ‘monkey mind’ and allows the body to be at ease with all the present sensations, thoughts and feelings. The all-body experience of drumming allows an excellent opportunity to perform body scans and focus on each passing breath. Studying music develops your listening skills as you train yourself to discern rhythm, timbre and meter found in all styles of music. From performing a wide variety of music you will also begin to recognize melody, harmony, and tonality as a listener. Being well equipped with a discerning musical ear will allow you to judge and appreciate the music you listen to more thoroughly. Learning to play the drums teaches an individual how to be effective with time management and how to improve organisational skills. The loud nature of drums mean that they cannot be played at any time around the clock. A drummer may have to learn to manage time wisely in order to practice without potentially disturbing others. In order for a drummer to progress fast, it is important to prioritise practice time over other leisure activities. It will also be important to structure and schedule rehearsals around life and adapt to new challenges by planning ahead and making efficient use of time. 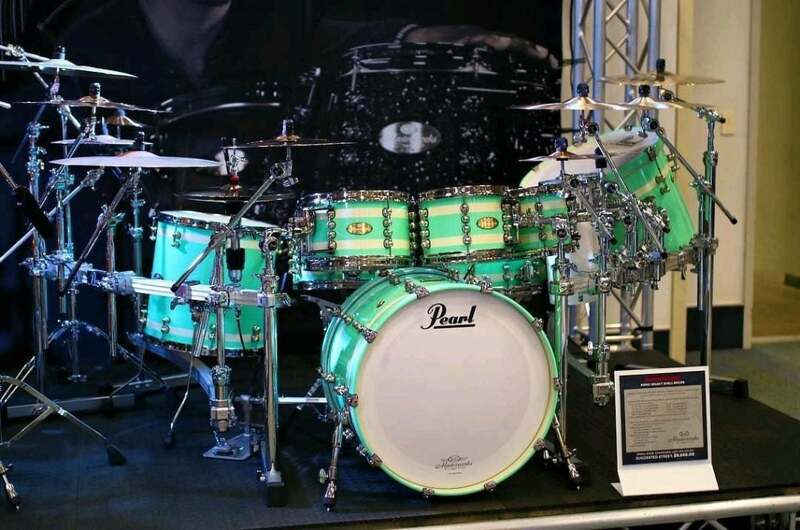 The possibilities are endless for drum kits; with hundreds of manufacturers all offering hundreds of drum woods and sizes as well as limitless colour options. There are thousands of different types of cymbal models, and no two cymbals produced ever have identical sound properties. Drums require to be tuned with drumheads, of which there are plenty of options to cater for all styles of music and tastes. The sheer abundance on offer makes drums the most customizable instrument in the world. 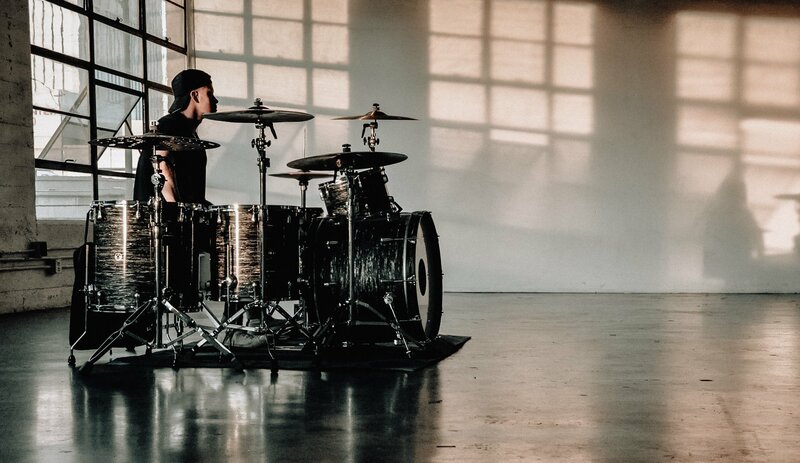 A progressing drummer has the potential to expand his existing drum kit set up by investing in new equipment such as new cymbals, an additional rack tom, or a new set of bass drum pedals. There is a large number of equipment involved in a full drum kit setup. The tuning, cleaning and maintenance of equipment teaches responsibility and the importance of owning and caring for valuable personal possessions. Everyone can appreciate how good a drum set looks on stage, as the chrome hardware and polished cymbals shine and reflect the light back at the crowd. 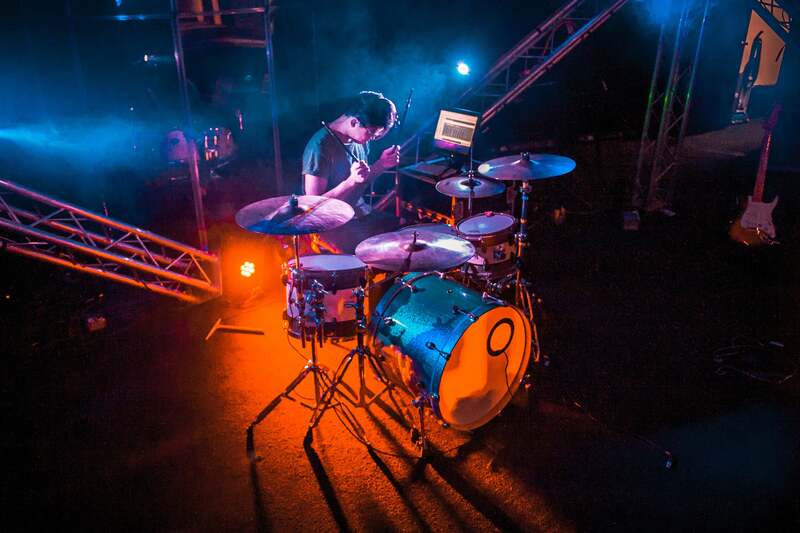 A drummer on stage is able to capture the attention of everyone in the room. Whether you’re just starting out or you are a seasoned pro, there is no better feeling than rocking out to your favourite songs and losing yourself in the moment! 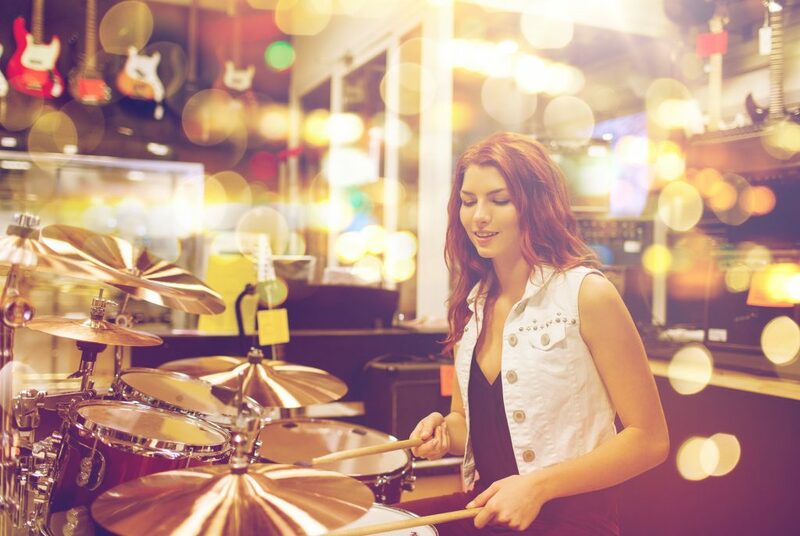 Playing the drums is the perfect opportunity to form relationships with other musicians and to share creative ideas! Performing in a group will also improve interpersonal skills as you learn to work with other individuals and combine your efforts. For an aspiring young drummer in a school, drumming may provide opportunities to join school bands and perform at concerts. Young musicians at school may also find themselves meeting other young musicians with similar shared interests. 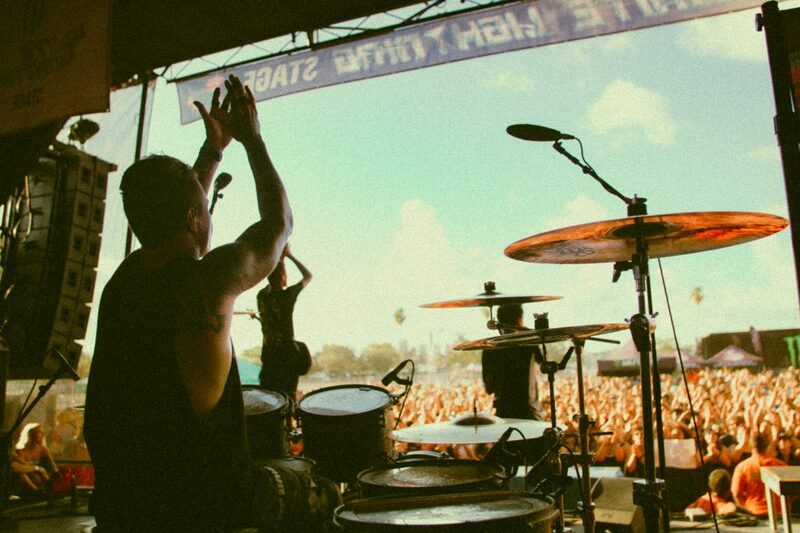 Drums are undoubtedly the coolest instrument to play! Having a distinctive hobby as well as musical ability contributes a unique aspect to a person’s character and differentiates him from others in a friendship group. Pursuing musical endeavours could well result in success! Growing in popularity online as well as within a local scene through performing concerts. 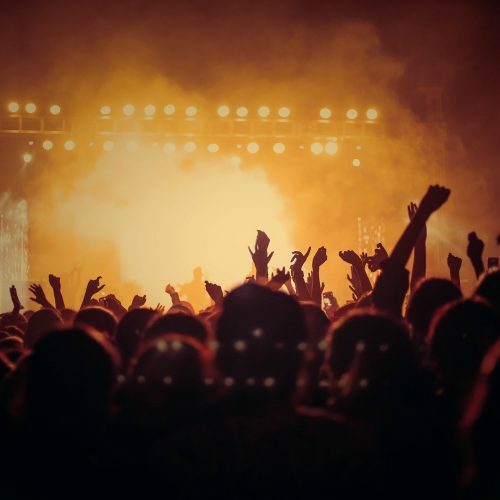 With the increase in popularity of a musical project you will receive special attention from friends and also people from around the world you may not know! Playing the drums means you possess a transferable set of skills that you can use to play other varieties of percussion. Just because you are in a rock band doesn’t mean you can’t participate in an orchestra to play the timpani, or play the Cajon for an acoustic guitarist. As you expand your musical horizons you may discover new drumming opportunities you may not have found before! Drumming allows a person to begin not only a musical journey, but also a journey of self-discovery. Through the medium of drumming, a progressing musician is able to learn more about himself; developing personal tastes in music, maturing as an individual, learning the strength of ones character whilst instilling a positive identity. It’s easy to fall in love with drumming! The full body sensations experienced whilst playing the drums are incomparable, and how mesmerising they are to look at are you simply cannot capture from any other musical instrument. There is no other feeling like the enjoyment of driving the beat to a song and laying down the foundation of the music. The aural explosion of sonic information leaves you wanting more from the drums! Drumming is a fantastic passion to pursue; it is a gift that keeps on giving – through exciting musical pursuits as well as reaping the multitude of health benefits offered as a result of playing! 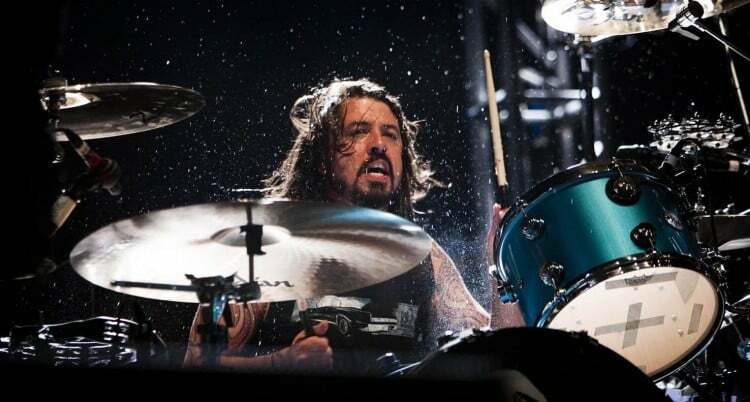 4 Common Drumming Mistakes You Might Be Making! 5 Top Tips For Taking a Drum Exam! 9 Essential Networking Tips For Drummers!